Heavenly blog! : No. 1194: Manipulation and distortion of what I have written and spoken of Kjell Andersen and Searchlight, as usual! It's really lie! No. 1194: Manipulation and distortion of what I have written and spoken of Kjell Andersen and Searchlight, as usual! It's really lie! 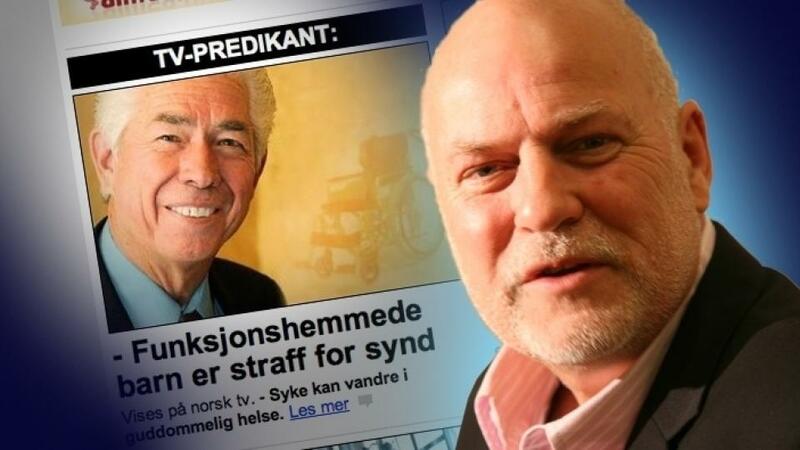 Manipulation and distortion of what I have written and spoken of Kjell Andersen and Searchlight, as usual! It's really lie! I wrote that Ulf Ekman in multi paragraph or passage that he would become a Catholic. This in 2007, seven years before Ekman became a Catholic in 2014. Photo by Jan Hanvold, it is not meaningful to bully! But how could this man become a Catholic? It had not gone if they had spent one thousand years on him. The Catholic Church has a far higher morality and knowledge flora than Protestants. Hanvold have neither morals or knowledge as I see it. I have never claimed that he and other Protestants to become Catholics. It is at best a good lie, really saw it lying! That's exactly what Kjell Andersen and Searchlight doing. And I write also that there are few others who will be there, apart from the odd Peter Halldorf may be heading with its difficult to use as Christianity! But Jan Hanvold and the rest of the herd would never fit in, not least because of that they are re-married! The Catholic church does not accept remarriage, as it is a sacrament. Then Kjell Andersen argument is nothing but manipulation and distortion of what I have written and spoken! The Catholic Church on marriage - divorce and remarriage! Marriage is accompanied catholic vision a sacrament and therefore insoluble. It is not simply a contract between two people - a man and a woman - but also between these two people and God. It is, as Paul says, a great mystery. Two people living together is a deep expression of God's love for us humans, while one path in life and even God. Marriage has existed from the time God "created man in His own image, male and female" (1 Mos. 1, 27), and joined them as they "should no longer be two, but one flesh." (1 Mos. 2, 24 and Matt. 19.6). It is after the order of nature and God's will that people marry and start our families. Like everything that God has created, is also the "very good", and therefore hear it among the sacraments. Normally announces Church sacraments by their bishops and priests. The marriage differs from the other sacraments in that there are spouses who even notifies each sacrament. Upon his yes-word, which is binding for life, ending the marriage covenant, and it is the Church solemnly blessed during the ceremony. Church require that this mutual consent is delivered in freedom and in full knowledge of what marriage involves: To love and support each other throughout life and that they intend to start a family. The Christian perspective, which gives marriage its sacramental dignity, expressed in what Paul writes (Eph. 5, 25-32): "Husbands, love your wives, as Christ showed his love for the Church by sacrificing themselves for its sake. "He called marriage" a great mystery "(sacramentum), namely 'relationship between Christ and the Church." The inspiration for the spouses are therefore Christ's relationship to the Church in the New Covenant frame. Christ unfailing faithfulness reflected in marriage lifelong fidelity and indissolubility, His sacrifice and ministering the love of the spouses' mutual care for one another. How will Christ both a role model and a source of strength and blessing for the spouses in their covenant for life. When a marriage is blessed with children, the spouses - as parents - together give her children confidence and love, and at the same time bringing them up in the faith, so they can grow as children of God and find their place in His church. "Do you live as husband and wife and love and honor one another throughout life?" "Will you love take the children God had to bestow you, and bring them up in Christ and the Church spirit?" Bride and groom goods also yes to the question, "N. N., will you take N. N. to your wife / husband and promise to love and honor her / him, be him / her faith and stay with her / him in good and bad days, until death do you part? " "The marriage you've won, I affirm and declare valid the Father and the Son and the Holy Spirit. And you who are here present, I take to witness that this sacred covenant is valid quit. "What God has joined together, let not man separate." "
Then ask the priest for the bride and groom - a prayer that concludes with the words: "And now we ask you, Lord, that these Thy servants must keep the faith, and your bid. Let them live a pure and good life, and the power of the Gospel witness of Christ to all people. Let them ... reach eternal life in the kingdom of heaven. Through Christ our Lord. " He also calls the blessing over them: "God, our Eternal Father, keep you in unity and mutual love, so peace of Christ be with you and stay in their homes. Amen. " Here falls throughout Kjell Andersen and Searchlight his argument. We read about marriage as a sacrament and that only death dissolves a marriage, as also the font testify! In other words, it was basically "paved" a way for Ekman to become a Catholic when he was educated priest in the Swedish church and not re-married. But Jan Hanvold and most Pentecostal / charismatic Christians are really just saying that they are a very sad personal!